The pig hair keratin (PHK) has been successfully extracted by a facile method of reduction, and the optimal yield of pure keratin is 61%. FT-IR and CD spectra indicate that the secondary structure of the extracted PHK is mostly β-sheet and random coil. UV-Vis spectra show that characteristic absorption peaks at the vicinities of 208 nm and 275 nm were assigned to both benzene ring and auxochrome substituents such as -OH and -NH2. The results of elemental analysis and amino acid analysis show that hydrophobic and hydrophilic amino acids in the hydrolyzed PHK totaled about 53.66 mol% and 46.34 mol%. Based on the results of SDS-PAGE and MALDI-TOF MS, the molecular weight of the as-obtained PHK is 10.86 kDa with low dispersion. TG analysis declares that the decomposition temperature of PHK is 280 °C. The MTT-cytotoxicity test declares that the extracted PHK has no toxic and negative effects on human skin basically. It is promising that this biocompatible keratin can be readily used in various realms of biomedicine and biotechnology. The online version of this article ( https://doi.org/10.2478/s11756-019-00210-5) contains supplementary material, which is available to authorized users. The authors thank Dr. Shaoxiang Xiong, Professor of Institute of Chemistry, Chinese Academy of Sciences (Beijing China), for MALDI-TOF MS measurement. We also thank Professor Ming Lin of Health Science Center in Peking University for helping in Amino Acid Analysis. The project was supported by the National Natural Science Foundation of China (21865030; 21364012) and Gansu International Sci & Techn Coop-Base for Water-retention Functional Materials. In this manuscript, all authors have no actual or potential conflict of interest including financial, personal or other relationships with journal editors. This submitted work has not been inappropriately influenced. 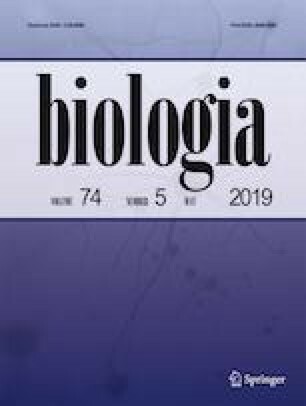 This manuscript and its contents have not previously been published nor are under active consideration for publication with any journal or publisher except with Biologia.